If you are looking for deals on replacement toilet tanks, then you are in the right place. 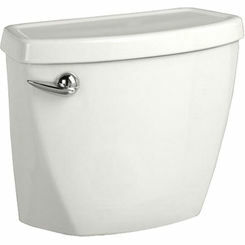 At PlumbersStock, we have everything you need to update your bathroom. 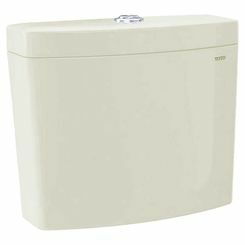 If your toilet tank has cracked, then you will be able to find an affordable option for replacement here. 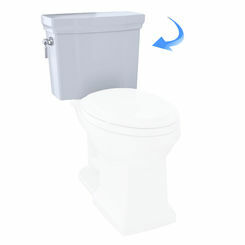 The great thing about two-piece toilets is that you will never have to replace a perfectly good toilet bowl. If the tank is broken, you replace the tank only. 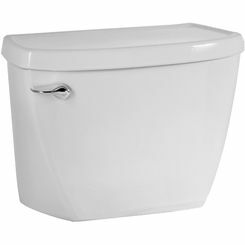 It's a great investment if you are planning on using that toilet for years. 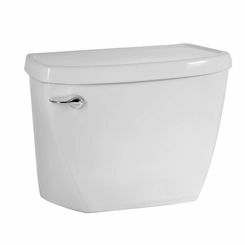 If you are looking to replace an entire toilet, then consider one-piece toilets. 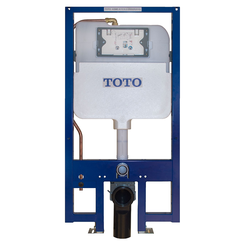 We carry a variety of discount options from quality manufacturers like American Standard, Toto, Danze, and more. 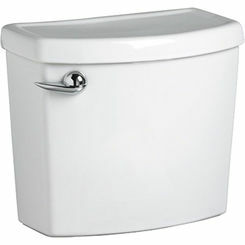 We even carry replacement toilet parts like new tank lids and even flappers. There are basically 3 different kinds of flappers in the various tanks you'll find. These include rubber, seat disk, and tank ball with each of them offering unique functionality. Rubber Flapper - These are the most common type probably because they are the least likely to fail. They are simplistic in design, and in many cases are actually made mostly of plastic. Seat Disk Flappers - The oldest type of toilet flapper aren't ideal in most cases because they can be difficult to repair. They are bulky parts so they take up a lot of space in the toilet tank. The cap is at risk for damage as well, so these are a few things to consider. There are two different types of flappers: threaded and snap-on. Tank Ball Flappers - You've seen this type before. It's the buoyant rubber ball that sits on top of the water in toilet tanks. Although in most cases this type is reliable, chain length is critical and if it's off it can create problems such as a faulty seal that wastes water. 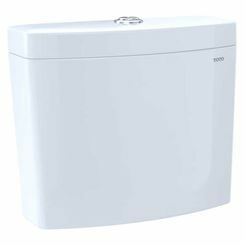 For more information about toilet tank features please contact one of our professional and knowledgeable representatives with your plumbing questions. If you are looking to piece together a bowl and a tank, PlumbersStock can accommodate you. 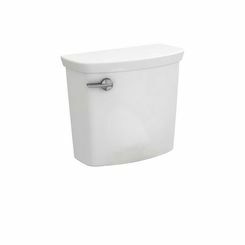 Many of our toilet tanks are listed individually and can be pieced together with a bowl to customize the look specific to your needs. Is your bathroom modern or vintage? Do you want a standard look or rather something unique? 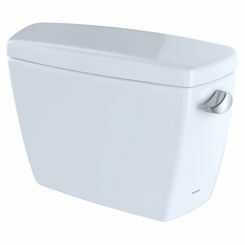 Take the opportunity to conveniently research the various toilet tanks online here at PlumbersStock. 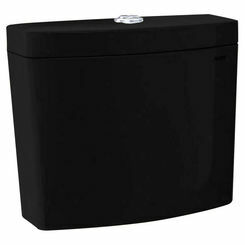 If you use the filters to narrow your search you can find the perfect piece in minutes from the comfort of your home. 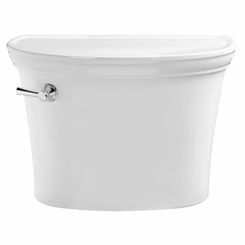 How Do I Know I Have Found Matching Toilet Parts? 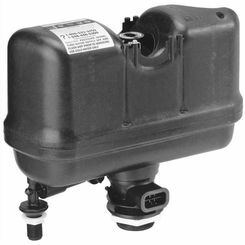 One of the most important pieces of toilet install advice that we can provide would be to double and triple check the mounting assembly and layout of both the toilet tank and toilet bowl. 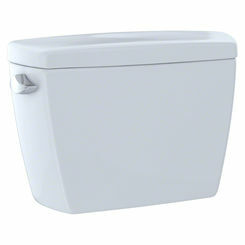 Most toilet units have a standard mount width between the toilet tank and the toilet bowl but on the rare occasion the measurements are different. It is advised for you to verify this distance before ordering the two separate toilet pieces. One of the biggest compliments that PlumbersStock receives from customers is in regard to our giant inventory and the fact that we always have a number of hard to find products in stock. 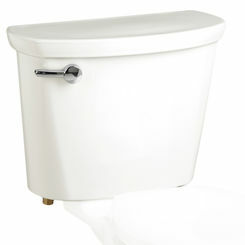 We take pride in being one of the largest retailers of plumbing products. 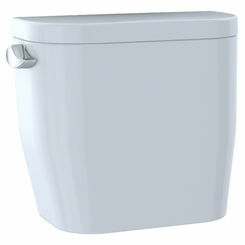 You'll be sure to find something you love with all our toilets for sale.